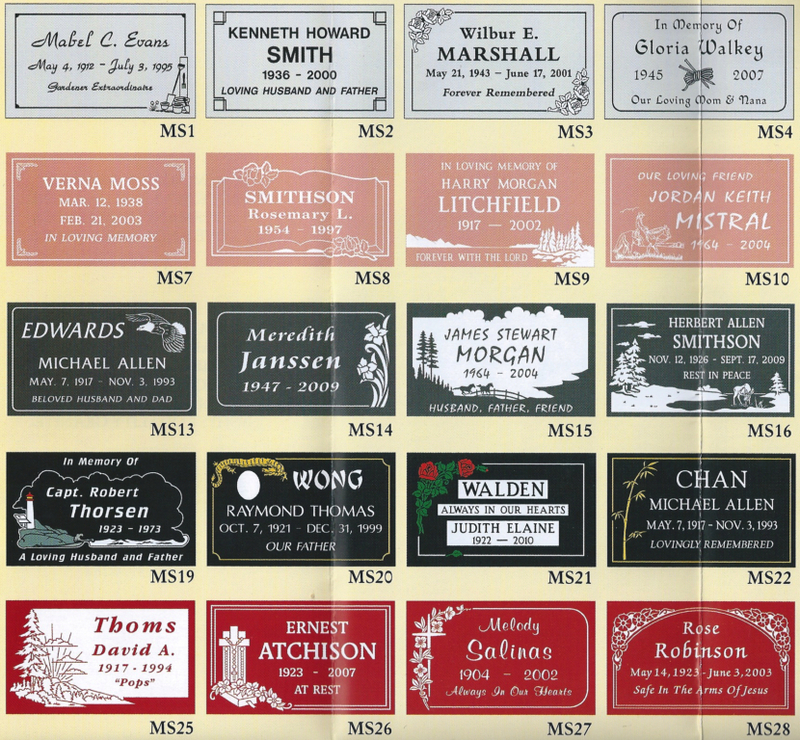 We offer a large selection of memorial markers. A memorial is a family tribute sculpted in stone or bronze, as a permanent reminder of love and family bonds. 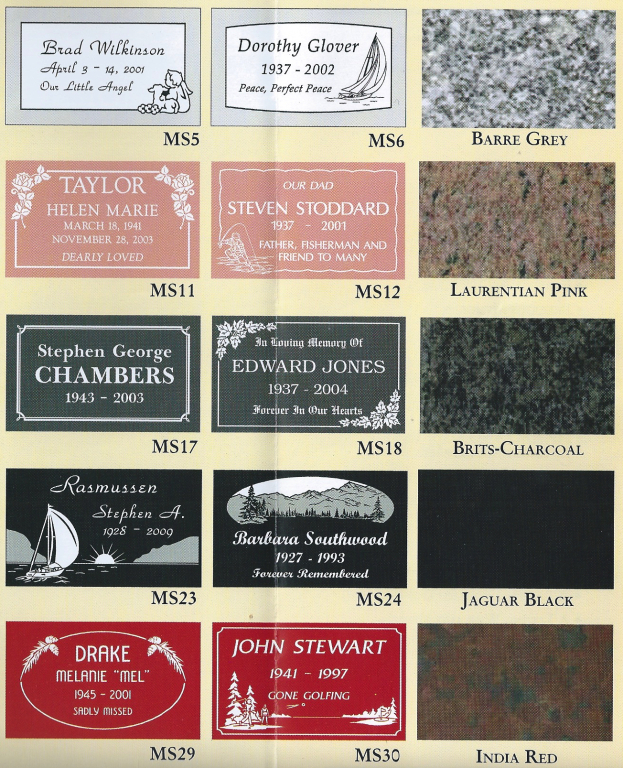 As you select from the memorials represented here, you family monument will be artistically designed and skillfully crafted with the highest quality granite. Nothing can replace the happiness brought to our lives, except perhaps our memories. Please ask your Funeral Director for our brochure and pricing.